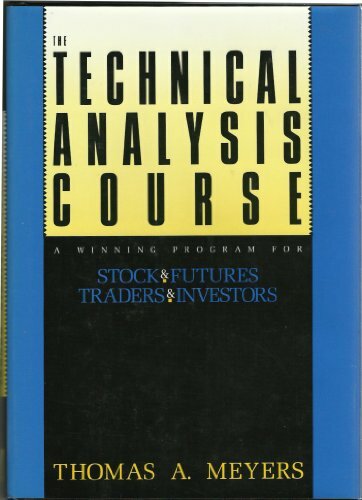 Recommended for professional certification by the Market Technician's Association, this is the Original - and Still Number One - Technical Analysis Answer Book. "Technical Analysis Explained, 4th Edition", is today's best resource for making smarter, more informed investment decisions. This straight-talking guidebook details how individual investors can forecast price movements with the same accuracy as Wall Street's most highly paid professionals, and provides all the information you will need to both understand and implement the time-honored, profit-driven tools of technical analysis.Completely revised and updated for the technologies and trading styles of 21st century markets, it features: technical indicators to predict and profit from regularly occurring market turning points; psychological strategies for intuitively knowing where investors will seek profits - and arriving there first! 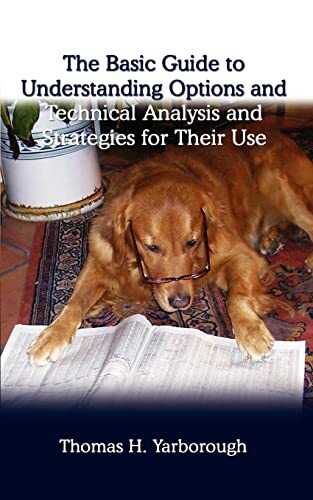 ; and, methods to increase your forecasting accuracy, using today's most advanced trading techniques.Critical acclaim for previous editions include: "One of the best books on technical analysis to come out since Edwards and Magee's classic text in 1948...Belongs on the shelf of every serious trader and technical analyst. " - "Futures". "..."Technical Analysis Explained" [is] widely regarded as the standard work for this generation of chartists." - "Forbes".Traders and investors are creatures of habit who react - and often overreact - in predictable ways to rising or falling stock prices, breaking business news, and cyclical financial reports. Technical analysis is the art of observing how investors have regularly responded to events in the past and using that knowledge to accurately forecast how they will respond in the future. Traders can then take advantage of that knowledge to buy when prices are near their bottoms and sell when prices are close to their highs. Since its original publication in 1980, and through two updated editions, Martin Pring's "Technical Analysis Explained" has showed tens of thousands of investors, including many professionals, how to increase their trading and investing profits by understanding, interpreting, and forecasting movements in markets and individual stocks.Incorporating up-to-the-minute trading tools and technologies with the book's long-successful techniques and strategies, this comprehensively revised fourth edition provides new chapters on: candlesticks and one- and two-bar price reversals, especially valuable for intraday and swing traders; expanded material on momentum - including brand new interpretive techniques from the Directional Movement System and Chaunde Momentum Oscillator to the Relative Momentum Index and the Parabolic; expanded material on volume, with greater emphasis on volume momentum along with new indicators such as the Demand Index and Chaikin Money Flow; relative strength, an increasingly important and until now underappreciated arm of technical analysis; application of technical analysis to contrary opinion theory, expanding the book's coverage of the psychological aspects of trading and investing. Technical analysis is a tool, nothing more, yet few tools carry its potential for dramatically increasing a user's trading success and long-term wealth. Let Martin Pring's landmark "Technical Analysis Explained" provide you with a step-by-step program for incorporating technical analysis into your overall trading strategy and increasing your predictive accuracy and potential profit with every trade you make. The Technical Analysis Course has gained a loyal following for its unique lesson-per chapter format and comprehensive coverage of the tools and strategies of technical analysis. This third edition provides revised and updated details on every key aspect of technical analysis. New sections answer questions on current topics including Bollinger Bands, curved trend lines, moving average convergence-divergence, the market's change to decimal pricing, and much more. 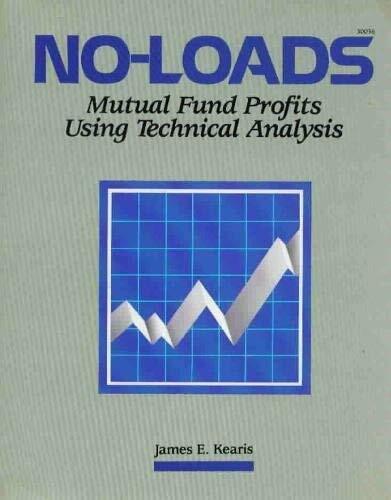 "A great primer covering all the technical analysis basics every active investor needs to know." -Martin Pring, Martin Pring on Market MomentumFinally-a concise, easy-to-read manual for learning and implementing this incredible investment tool.Well-known technician and newsletter editor Clif Droke distills the most essential elements of technical analysis into one powerful volume. He covers all the basics, including...- DOW THEORY - PATTERN RECOGNITION- VOLUME - SUPPORT & RESISTANCE- TRENDLINES - REVERSALS- CHART PATTERNS - A DICTIONARY OF TERMSAs you move through the quick reading chapters you'll feel more confident in your ability to analyze and forecast price trends, thereby enabling you to make the most on-target investing choices.The author, Clif Droke, explains how the technical analysis of equity and commodity trends affords one of the greatest hopes of achieving the ultimate end of free enterprise profit. Without the use of this peerless tool, the author believes that most investors will find themselves at the mercy and whim of market forces beyond their comprehension. Technical analysis, in his opinion, is the best means possible for attaining financial profit and for understanding the underlying condition of the economy as well as general societal trends. 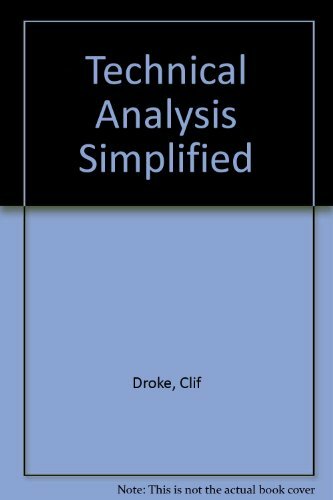 He explains simplified technical analysis as a combination of various forms of technical chart pattern analysis that combines the simplest and most basic elements of this discipline with a useful mixture of proven, more modem methods of technical analysis. This book is about arming you with one simple tool that will enhance your investment decision-making process - the chart. It is not the Holy Grail and even if applied exactly as offered there is no guarantee that you will be successful. But owning a high quality hammer is no guarantee that the user will build a beautiful house. The hammer is a tool and in most cases the user will still need other tools - and knowledge - to build that house. Despite its enormous and still growing popularity, technical market analysis still gets a bad rap. Purveyors of this art have been called tealeaf readers and many similar names, but that has nothing to do with what technical analysis is attempting to do. If we strip away all the fancy indicators and obtuse jargon, what is left are time-tested methods of finding investment opportunities and assessing their risk. There is no fortune telling here; only figuring out what we can do about the market. And what we do is the only part of the markets that we can control. What this book will do is give you the basics needed to look at a chart and get a feel for what the market or individual stock is doing. 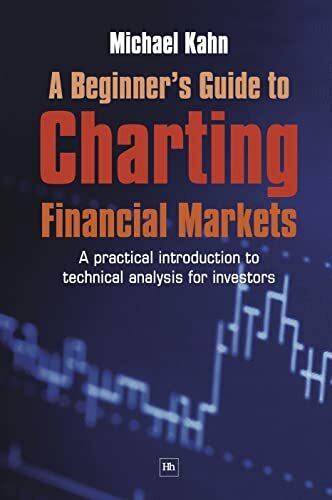 It covers only the nuts and bolts of chart analysis, barely touching upon the next level concepts and definitely leaving the whiz-bang stuff well alone. It should be stressed that this book will not replace your current methods of stock selection and investment strategies. What it can do, however, is add a new dimension to the analysis to confirm or refute what is already known. Basically, there is no need to give up other methods for selecting stocks although by the end of the book you may be drawn to further learning and eventually discover that charts can, indeed, be the primary, if not sole, investment decision-making tools. Technical analysis has come a long way over the last two decades to become the most commonly used and successful method of market analysis worldwide. 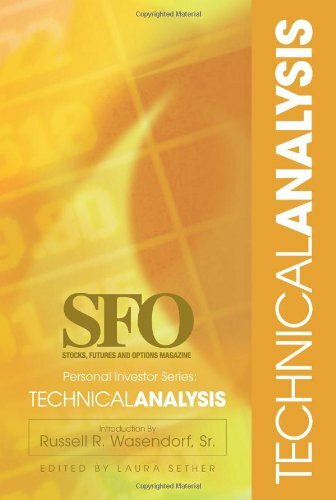 This collection of the top technical articles from SFO, The Official Journal for Personal Investing, will take you from the Dow Theory origins of technical analysis to the cutting-edge synthesis of Eastern and Western technical methods. You'll learn myriad ways to draw a chart, see a trend and spot the patterns that foretell price direction. Learn the basics and more advanced tools of analysis from 25 of the most revered names in the trading field. Most people invest in the usual assets: real estate, gold, mutual funds, fixed deposits and stock markets. It's always the same four or five instruments. All they end up making is a measly 8 to 12 per cent per annum. Those who are exceptionally unfortunate get stuck in the middle of a crash and end up losing a lot of money. What if there was another way? What if you could make not 10 not 15 but 20 per cent compound annual growth rate (CAGR) on your investments? What if there was a way to grow your money four to five times whilst taking half the risk compared to the overall market? 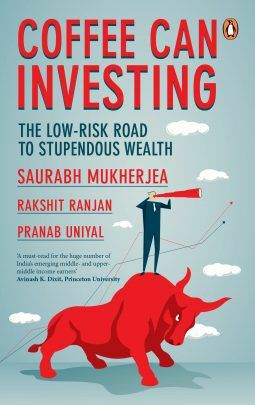 Bestselling author of Gurus of Chaos and The Unusual Billionaires, Saurabh Mukherjea puts his money where his mouth is. Saurabh follows the Coffee Can approach to high-quality, low-risk investing. His firm, Ambit Capital, is one the largest wealth managers in India which invests with this approach and delivers stupendous returns. In Coffee Can Investing, Saurabh will show you how to go about low-risk investments that generate great returns. The current emphasis on sustainable development is a consequence of the general awareness of the need to solve numerous environmental problems resulting from our modern society. This has resulted in the necessity to assess the impact of economic investments on the environment. The book addresses the topic of Investment Assessment and Environmental Economics in an integrated way; in accordance with the principles of sustainability considering the social and environmental impacts of new investments. This book contains the papers presented at the Second International Conference on Environmental Economics and Investment Assessment, held in Cadiz, Spain, in 2008, and addresses these problems of primary importance to Society, discussing and proposing a more constructive and progressive approach to ensure sustainability. Methodologies to address these important problems are presented. The contributions are presented under the following subject areas: Economy and the Environment; Environmental Policies, Planning and Assessment; Cost–Benefits Analysis; Natural Resources Management; Environmental Performance; Social Issues and Environmental Policies. This book contains the edited versions of papers presented at the Third International Conference on Environmental Economics and Investment Assessment, held in Cyprus, in 2010. The conference was organised by the Wessex Institute of Technology in collaboration with the National Technical University of Athens. The current emphasis on sustainable development is a consequence of the general awareness of the need to solve numerous environmental problems resulting from our modern society. This has resulted in the need to assess the impact of economic investments on the environment. The book addresses the topic of Investment Assessment and Environmental Economics in an integrated way; in accordance with the principles of sustainability considering the social and environmental impacts of new investments. The book addresses these problems of primary importance to Society, discussing and proposing a more constructive and progressive approach to ensure sustainability. Methodologies to address these important problems are presented.The contributions comprise the following broad subject headings: Environmental Policies, Planning and Assessment, Cost Benefit Analysis, Decision Support Systems, Natural Resources Management, Social Issues and Environmental Policies. In The Interpretation of International Investment Law: Equality, Discrimination and Minimum Standards of Treatment in Historical Context, author Todd Weiler demonstrates how historiographical analysis should be adopted in the interpretation of international investment law obligations. Weiler subjects some of the most commonly held beliefs about the nature and development of international investment law to a critical re-appraisal, based upon meticulously assembled historical record. In the process, the book provides readers with a fresh perspective on some of the oldest obligations in international law. Drawing on State practice, arbitral awards and national decisions, this book provides a systematic study of the sources of rights and obligations in the field of transnational investment, and their coordination and interaction. Investing in the Early Modern Built Environment represents the first attempt to delve into the period’s enhanced architectural investment—its successes, its failures, and the conflicts it provoked globally. Latin American Investment Protections provides a unique country-by-country discussion of legal protections and dispute resolution/arbitration relating to foreign investment in Latin America, including applicable national laws, international treaties, stabilization regimes and known investor-State disputes. Investigating Subjectivity examines the importance of a phenomenological account of the subject for the nature and the status of phenomenology, for different themes from practical philosophy and in relation to issues from the philosophy of mind. One of the major forces changing the face and structure of international capital markets since 1990s has been the flow of cross-border portfolio investments—especially by foreign institutional investors (FIIs)—from developed countries to the developing economies. Portfolio investors provide institutional character to the capital markets, flavoured by highly intensive research and diversified investments. FIIs are specialised financial intermediaries managing savings collectively on behalf of investors, especially small investors, towards specific objectives in terms of risks, returns, and maturity of claims. FIIs make investments in various countries to provide a measure of portfolio diversification and hedging to their assets. The forces driving the recent change in the investment portfolio of FIIs—as reflected in the growing emphasis on equities of emerging market economies—include inter alia: (a) increased accessibility of these markets after liberalisation, (b) improved marketability, (c) fewer problems relating to thin trading, and (d) improved macroeconomic fundamentals of recipient countries. Investments by FIIs first started flowing into India in 1993. Since then, these investment inflows have been quite substantial. Policies relating to portfolio investment have been liberalised in recent years. This book provides a detailed account and examination of various dimensions, determinants, deterrents and other aspects of investment flows into India through FIIs. 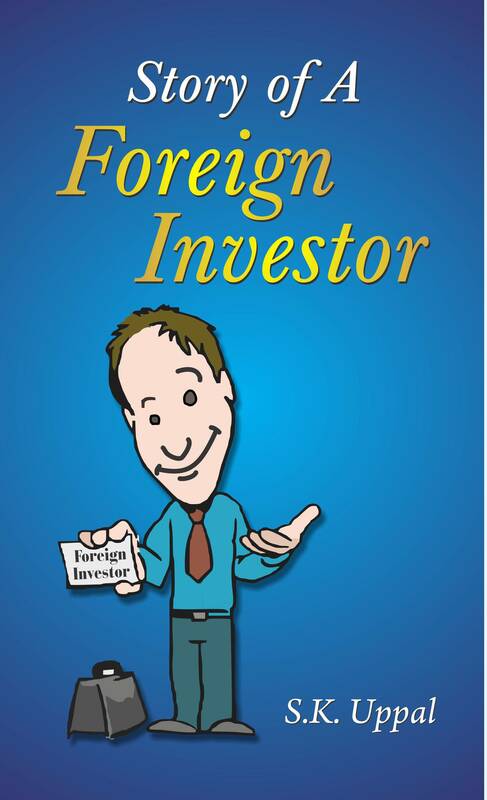 Foreign investment is a subject of topical interest. Countries of the world, particularly developing economies, are vying with each other to attract foreign capital to boost their domestic rates of investment and also to acquire new technology and managerial skills. Intense competition is taking place among the fund-starved less developed countries to lure foreign investors by offering repatriation facilities, tax concessions and other incentives. However, foreign investment is not an unmixed blessing. Governments in developing countries have to be very careful while deciding the magnitude, pattern and conditions of private foreign investment. In India, foreign investment policies in the post-reforms period have emphasised greater encouragement and mobilisation of non-debt creating private inflows for reducing reliance on debt flows. Progressively, liberal policies have led to increasing inflows of foreign investment in the country. Recently, the Government of India cleared the most-awaited reform measure, allowing foreign direct investment (FDI) in multi-brand retail up to 51 percent, paving the way for international multi-brand retailers to set up business in India. This apart, liberalized FDI norms for aviation, broadcasting, insurance and pension sectors have also been cleared. This book contains 8 scholarly papers, authored by experts in the field, which provide analytical account of foreign direct investment (FDI) in India in the context of ongoing global financial crisis. Foreign investment is a strategic instrument of development policy. It plays an important role in the long-term economic development of a country by augmenting availability of capital, enhancing competitiveness of the domestic economy through transfer of technology, strengthening infrastructure, raising productivity, generating new employment opportunities and boosting exports. In the wake of economic liberalisation policy initiated in 1991, the Government of India has taken several measures to encourage foreign investment, both direct and portfolio, in almost all sectors of the economy. However, the emphasis has been on foreign direct investment (FDI) inflows in the development of infrastructure, technological upgradation of industry and setting up Special Economic Zones (SEZs). With a vast reservoir of skilled and cost-effective manpower, India is now recognized as one of the most attractive investment destinations by reputed international rating organisations. The World Investment Prospects Survey 2010-12 report by the United Nations Conference on Trade and Development (UNCTAD) ranked India as the second most attractive FDI destination for the year 2010 (China was ranked number one and Brazil number three). In spite of the fact that India is strategically located with access to a vast domestic and South Asian market, its share in world’s total flow of direct/portfolio investment to developing countries is dismally low. China, Singapore, Indonesia, Philippines, and Thailand attract greater amounts of foreign investment than India. With a view to increase access to Indian capital markets, Qualified Foreign Investors (QFIs) were allowed to directly invest in the Indian equity market in January 2012. Furthermore, the Union Finance Minister in his 2012-13 Budget allowed QFIs to access Indian Corporate Bond market. Under the current policy regime, there are three broad entry options for foreign direct investors: (a) in a few sectors, FDI is not permitted (negative list), (b) in another small category of sectors, foreign investment is permitted only till a specified level of foreign equity participation and (c) in all other sectors, foreign investment up to 100 percent of equity participation is allowed. The third category has two subsets—one consisting of sectors where automatic approval is granted for FDI (often foreign equity participation less than 100 percent) and the other consisting of sectors where prior approval from the Foreign Investment Approval Board (FIPB) is required. The present book deals with almost all aspects of FDI in India. It particularly focuses on current policies, conditions and procedures for FDI inflows into India. In the wake of economic liberalisation policy initiated in 1991, the Government of India has taken several measures to encourage foreign investment, both direct and portfolio, in almost all sectors of the economy. However, the emphasis has been on foreign direct investment (FDI) inflows in the development of infrastructure, technological upgradation of industry and setting up Special Economic Zones (SEZs). The present book deals with almost all aspects of foreign investment in India. It particularly focuses on current policies and procedures for foreign direct investment as well as foreign portfolio investment. Foreign investment policies of other countries have also been highlighted to make suitable comparisons with India’s policies in order to underscore the measures that are needed to attract higher levels of foreign capital and technology. The poor performance of PSEs started to be reflected in low profits and in some cases mounting losses year after year. Hence, privatisation of public sector enterprises is a part of the economic reforms process initiated in 1991. In dismantling the public sector, India has adopted a gradualist approach. The slow pace of privati-sation has disappointed the public in general. This book traces the philosophy and growth of PSEs in India and describes recent policy measures for their privatisation. Hurdles being faced by the Government in this gigantic task are also set forth. Prior to the launching of economic reforms in 1991, foreign trade of India suffered from strict bureaucratic controls and discretionary regulations. With a view to simplify procedures and reduce controls, the Government made a Statement on Trade Policy in Parliament on August 13, 1991, ushering a new era in the foreign trade policy of India. Instead of controls and regulations, the focus shifted to promotion and development of foreign trade. The present book provides a comprehensive view of the changes in India’s foreign trade during the post-liberalisation period. It also traces policy developments with regard to direct foreign investment during the reforms period.